Feel noble. Play like a king. And be smart enough to get your winnings before all your budget is spent. Seems to be impossible task? Well, baccarat likes hazardous players who adore risk and know the basics to win. However, this time we are going to talk about playing with NO RISK. Yeah, such wise game style can help you a lot. Just learn the rules. 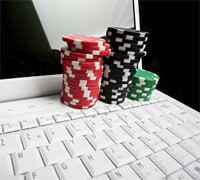 Almost all know that there is no special strategy to win baccarat. However, there are still some rules to follow that can lead your way to the road of high wins. The most usual and simplest is the system of consequent wins. There are several of them, to be precise. Now we are going to discuss 1-3-2-6 baccarat betting system to find out whether it works or not. These numbers – 1, 3, 2, 6 – are the sequence of your bets. It helps you to determine when and how much units you should place depending on your wins and losses. If you win all four bets, you should restart the whole session. If you lose some bet, you should also start again. Clearly, while you are winning, you go progress step by step with the system provided. For example, you start playing with $20 bet. The next bet, if you win should be $60. Place $40 if you win again and $120 in the end. With such a simple strategy – go back to the start if lose, or when you win all four bets – make this positive betting system rather profitable for you. Actually, it reduces the risks, because you control your losses and always know the right time to stop. The other important thing is to stick to this strategy. Whatever happens. Almost all betting strategies work on the long run. Don’t forget about it. So, whether you should use this system or not? Some players suppose that playing baccarat with 1-3-2-6 system and choosing the Banker bet only, you can end the game with even in case you lose all 4 times. Actually, this rule doesn’t work. Such consequence of four losses will result in a loss of 0.3 units. If you really want to be sure that the game will end with at least Even, you should play with the Player bet. Of course, it is not so advantageous for you, but still works perfectly for this system. 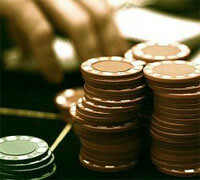 However, even with the worst scenario happened you can save some cash to continue playing baccarat. For example, you lose your second bet up to 6 times. You return to the start of the consequence again and again. Well, in this case you lose 12 units only. Complete the whole sequence of four wins and your money will be got back. On the whole, this baccarat strategy works well for short winning streaks and NEVER lead you to great losses. Play safe to keep calm and have a great time!